The MCB Amphibian from Suunto is a lightweight mirror compass with a fixed declination correction scale, and it floats! For even greater versatility, the detachable snap-lock lanyard features a built-in safety whistle! 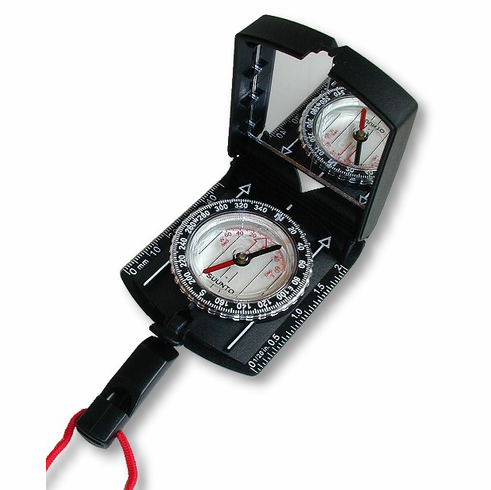 Other features include a locking mirror lid with sighting window, fixed declination correction scale, and inch and centimeter rulers. Available in black only. Closed dimensions: 2.25" x 2.75"